According to experts the healthiest “health bars” are ones that contain 150 to 250 calories. They’re also made up predominantly of whole foods such as fruits, whole grains, seeds, and nuts, and they don’t come with a list of ingredients as long as your arm (this tends to ring “processed food” alarm bells). It’s difficult to find these types of bars though, right? So what is it with these health bars and how are RXBARs healthy? Let’s find out! Many of us will make a pact to try and eat healthily. But convenience often means things get put to one side. Whether you snooze for an extra 10 minutes in the morning or you’re so late getting home you just have to order takeaway, convenience food plays a huge role in our lives. What we need is a snack that isn’t just convenient but is healthy and filling too. Unfortunately, however, while many high-street food chains started producing these ultra-convenient snacks, they weren’t fulfilling our health needs in the process. Despite supermarket aisles being laden with these “health bars” (over 1,000 of the things, in fact), many contained hidden sugars and other unhealthy byproducts. The result? They gave protein bars a bad rep. When you pick up most nutrition bars, their front packaging will promise a whole host of benefits – but their back packaging will tell a completely different tale. From being stuffed with sugar to containing a huge list of ingredients that can only be deciphered by someone with a Ph.D. in biology, they weren’t the solution true nutritional fanatics were looking for. And that was the problem. It was often too confusing to try and work out just what was in the protein bar, so you either ate it anyway or avoided them completely. The guys behind RXBARs recognized this and decided to take all of the jargon (and unhealthy ingredients) out of their protein bars. And they added simple, easy-to-understand packaging, too. So when you pick up one of these bars, you don’t need to scroll through an endless list of ingredients on the back. You just look at the front and the bar’s ingredients (often around 4 or 5 things) are listed like a shopping list – and there’s nothing unhealthy there either. They keep things simple and let the ingredients do the talking. With RXBARs you know exactly what you’re consuming and you can be damn sure you’re eating clean. 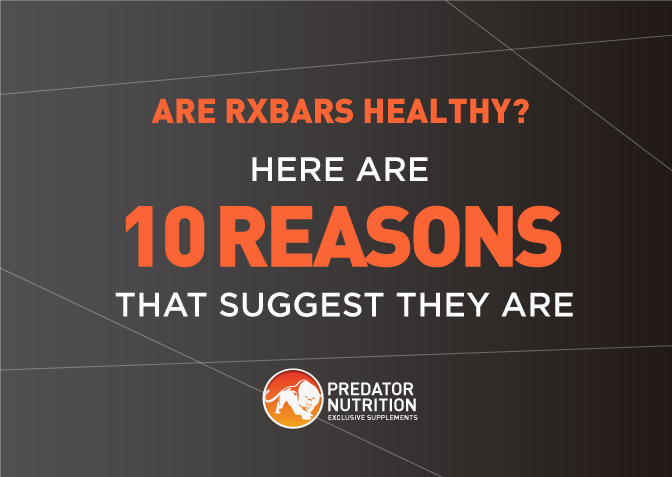 So what are the exact health benefits of RXBARs? We’ll take a look at this below. 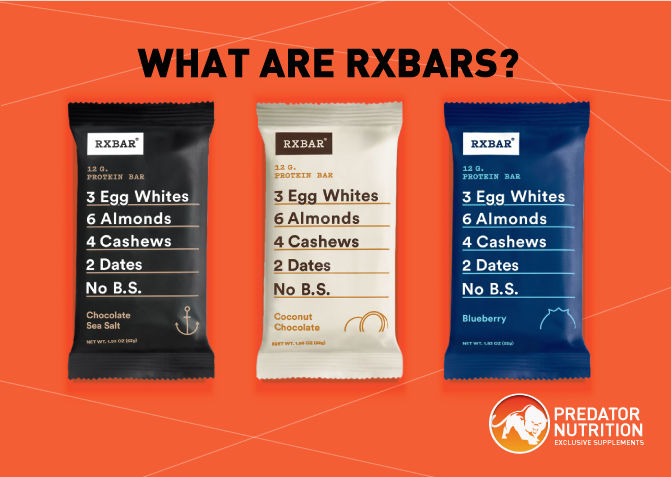 Due to the fact each RXBAR only contains around 4 ingredients, it’s important that these core ingredients have a healthy purpose, which they do. · Egg Whites: Providing much-needed protein, egg whites are cholesterol-free and their protein is readily absorbed by your body. Other sources of protein aren’t as easily digested, which means there’s often a lot leftover that goes to waste. 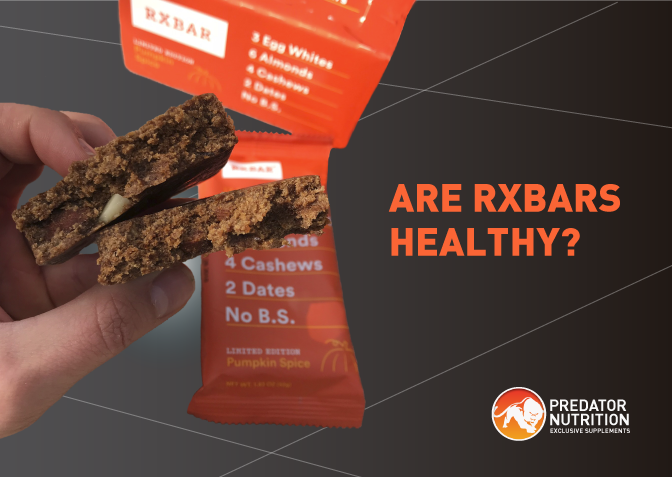 · Nuts: Peanuts, almonds, cashews, and pecans are at the heart of RXBARs. As superfoods they boasts plenty of minerals, vitamins, and antioxidants, and when used in healthy proportions they offer a source of healthy fat, too. Plus, they give the bars a tasty texture. · Dates: These help keep the bars together, but more importantly, they’re a great source of fibre and nutrients. So even though dates do contain some carbs (each bar has less than 10% of your recommended daily intake) you do need to get your carbs from somewhere! And compared to other types of carbohydrates, dates are incredibly nutritious – and they taste good. · Cocoa and Cacao: This is chocolate in its purest, rawest form. It has a naturally intense flavour because it’s come straight out of the pod. And it shouldn’t be confused with candy because there’s no dairy or sweeteners to be found here. · Fruits: For added flavour and even more goodness, real fruit is used in the form of pumpkins, blueberries, and apples. · Spices and Natural Flavours: To add a distinguished taste to the bars, you’ll also find a number of spices, including cinnamon, nutmeg, ginger, cloves, and sea salt. Protein is an integral part of anyone’s diet, but is particularly important for athletes or sporty types. Having a high-quality source of protein in your diet provides your muscles with essential amino acids, giving them everything they need to rebuild and repair. This allows your muscles to grow stronger and recover from exercises quickly. Protein is also used by the body as an energy source, and because, as we’ve already seen, this protein is derived from egg whites, you’re getting “complete protein” – unlike the protein included in many health bars, e.g. soy or whey. What are complete proteins? They contain all of the amino acids you need (9 in total). These are the amino acids our bodies cannot produce, which is why it’s fundamental you get these from the foods you eat. It also means they’re great for building muscle. What’s more, each bar contains 12 grams of protein (most bars only contain around 4 grams of protein, and even then it might not be bioavailable). One of the worst types of sugar is “added sugar.” But in RXBARs a lot of the sugar is derived from dates (hence why each bar always includes two dates). Equally, they have a high fibre content, which is another huge bonus. Fibre’s hugely important in your diet, particularly when it comes to how your body digests sugar. Well, fibre makes sure sugar is absorbed slowly because it slows down your digestion. And because your liver is given longer to process this sugar, it helps keep your sugar levels in check. Thus, it prevents any sudden highs or crashes that often come after eating candy bars and other sugary foods. These fluctuations in sugar can also put increased pressure on your pancreas, increasing your risk of developing type 2 diabetes. 5. They Contain Fat – But the Good Kind! One of the only concerns you may have when you look at these bars is the content of fat that’s within them (from 7 to 10 grams, approximately). But this isn’t any ordinary kind of fat – it’s healthy fat (yes, such a thing does exist). That’s because, as is detailed in the list of ingredients, the source of fat is primarily nuts. And these are high in polyunsaturated and monounsaturated fats. The former lower your risk of strokes and heart disease and reduce cholesterol levels, while the latter also protect against heart disease and reduce blood pressure, boosting your body’s ability to use protein and absorb vitamins, too. These types of fats are the ones that should replace saturated fats (there are only 1 or 2 grams in each RXBAR, which is significantly less than what you’d find in a candy bar). There’s a lot of controversy surrounding soy, from it increasing the risk of breast cancer to interfering with the thyroid. However, soy is often used as an alternative to milk, providing food with a source of protein. But these plant-based protein sources aren’t half as advantageous as egg whites and your body is unable to use it all. That’s why there’s no soy in RBXARs. 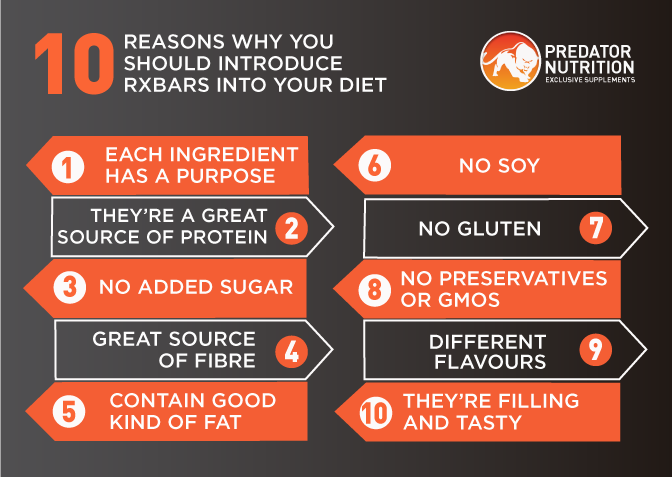 Whether you’re gluten intolerant or you just don’t like to include it in your diet, RXBARs are perfect for this lifestyle as they don’t contain any trace of the stuff. To make sure RXBARs are as clean as possible, they don’t contain any preservatives and there are no genetically-modified organisms (GMOs) in there either, which bolsters their healthy status no end. Another issue with protein or nutritional bars is their lack of diverse flavours, meaning you can soon become bored of them. However, we have lots of different flavours of RXBARs available, including chocolate sea salt (a bestseller), peanut butter, and mixed berry. So whether you fancy one for breakfast or as an afternoon snack, you’re sure to find something that satisfies your hunger and taste buds! Whether you’re trying to lose weight or you’re looking to add more protein into your diet to bulk up, a lot of protein-based foods and supplements can be uninspiring and may leave you feeling hungry for more. Not RXBARs. Because they’re jam-packed full of natural protein sources, nuts, and other wholesome ingredients, they not only keep you fuller for longer but taste delicious too! 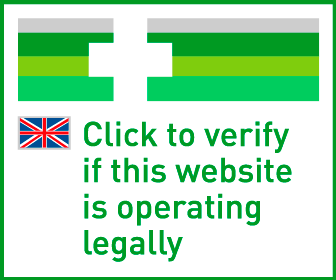 Just remember not to rely solely on these bars (a balanced, varied diet is crucial). Up to two a day as a snack is ideal. Overall, then, we’re quite confident that all of the hype surrounding RBXARs is pretty substantiated. After all, you only need to look at the front of one of these bars to realize that there’s nothing secret going on behind the scenes. They’re a smart snack – and they don’t need any technical jargon or scientific ingredients to make them stand out from the crowd – their ingredients speak for themselves. Discover our full range of RXBARs here – we have some kid-friendly ones, too!